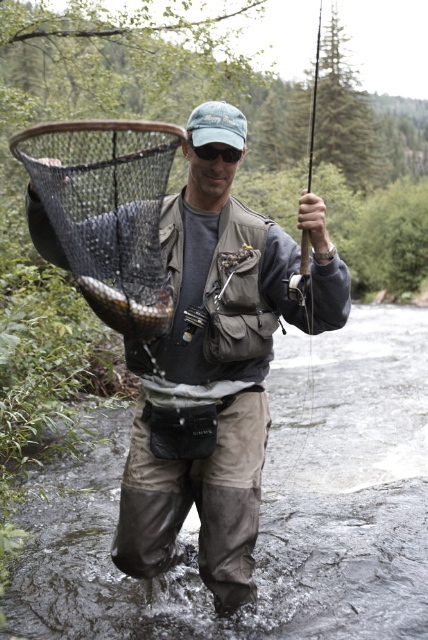 Glenn Smith, a native of Colorado, has been a Taylor Creek guide since early 1993. He specializes in flyfishing instruction and truly enjoys introducing the sport to the beginner, taking the mystery out and replacing it with common sense and good fun. One of the Taylor Creek “renaissance men”, Glenn is an accomplished chef and has cultivated an eclectic clientele base ranging from artists to lawyers, brain surgeons to museum curators, ballerinas to hookers. He is especially good with kids. Known for a pleasantly warped sense of humor, Glenn is another unique addition to the Taylor Creek cast of characters. Find my Blog and fishing musings at: Glenn and the Art of Fly Fishing dot com.